Tonight's TV picks, courtesy of the Tribune's TV critic Scott D. Pierce. Haven't we all heard more about Mel Gibson than we ever wanted to? Don't we just wish he'd go away? 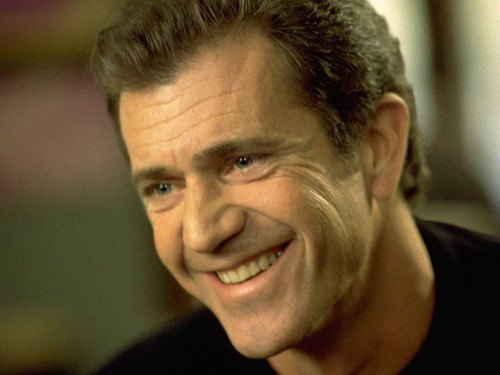 Nonetheless, the Biography Channel is giving us two hours of Mad Mel: The Rise and Fall of a Hollywood Icon at 7 p.m.And then follows that with a more adoring 2008 portrait of Gibson on a repeat of "Biography" at 9 p.m.
Three hours of Mel Gibson? Maybe Biography should have televised this on Halloween. NCIS (7 p.m., CBS/Ch. 2): A shock jock and a naval officer are both shot and killed. No Ordinary Family (7 p.m., ABC/Ch. 4): Jim is mistaken for a vigilante. The Biggest Loser (7 p.m., NBC/Ch. 5): Utahn Burgandy Keel is off, but the show goes on. Nova (7 p.m., PBS/Ch. 7): It sounds sort of dry, but this hour on "Building the Great Cathedrals" during the middle ages is rather fascinating. One Tree Hill (7 p.m., CW/Ch. 30): The good news is that we're told this is absolutely, positively the final season for this really bad show. We don't know for sure yet if it will end after Episode 13 or get picked up for nine more … but it's looking like it may get those nine more episodes. Sigh. Bugging Out (7 and 7:30 p.m., Science Channel): New series about a guy who's sort of a bug wrangler, providing various horrifying creatures to people who need them. Like the rappers who need scorpions for their video. Ick. Stargate Universe (7 and 9 p.m., Syfy): Chloe's captors infected her with a pathogen, which allows them to control her. NCIS: Los Angeles (8 p.m., CBS/Ch. 2): Callen's former partner takes hostages. Dancing With the Stars (8 p.m., ABC/Ch. 4): Jason Derulo and Shakira perform; another couple is eliminated. Life Unexpected (8:01 p.m., CW/Ch. 30): Baze ends up at the same hotel as Cate and Ryan. Gee, isn't that amazing? CONCACAF Champions League soccer (8 p.m., FSC and Galavision): Cruz Azul at Real Salt Lake in a game that means, well, not a whole lot. Both teams have already moved on to the next round; this will decide who's the top seed out of their group. Caprica (8 and 10 p.m., Syfy): Tamara wants to settle a score with Zoe. The Good Wife (9 p.m., CBS/Ch. 2): Alicia is caught up in a scandal, and she's threatened with disbarment. Detroit 1-8-7 (9:01 p.m., ABC/Ch. 4): A teen is killed at the high school Lt. Mason's daughter attends. Parenthood (9 p.m., NBC/Ch. 5): It's Halloween for the Bravermans. And this show's ratings have been scary  it's getting killed by "The Good Wife," and finishing behind "Detroit 1-8-7," which is in some danger itself. Frontline (9 p.m., PBS/Ch. 7): This very disturbing report provides evidence that a man who was executed for an arson fire that killed his three children was innocent  because the fire was not arson. Sons of Anarchy (11 p.m., FX): There's a problem with Samcro's new business arrangement.